Due to the health risks of divorce, life expectancy is impacted. Children of divorce also face risks in future marriages and face the prospect of unhealthy future behaviors. While life expectancy is not an exact science, there are subconscious cues that can be factored into the guess. "There are countless other factors that go into life expectancy besides divorce, and even if divorce plays a factor in the longevity of one’s life, understanding the behaviors that result from the stresses of divorce and how to avoid them can better equip those facing the challenges." When examining divorce, marriage, and how it has impacted society in all stages of our lives, examining the longevity of life itself and how it was impacted by divorce can help us understand the long term effects of ending a dysfunctional or unhappy relationship. Divorce and marriage are often looked at from an economic perspective. For those that get married, they find themselves moving up an income bracket and becoming more financially solvent as a household. For those getting divorced, they are seen as cutting their income in half, forcing both parties to downgrade their standard of living and budget their way toward a financial recovery. No matter if that type of recovery takes years or decades, the time that passes adds up, giving those that examine that type of information the data they need to compile the results on their studies. For others examining divorce-related data, the time that passes after a divorce is exactly what is being looked at. Many find themselves more or less susceptible to specific health risks after a divorce, and gender seems to be a primary factor, causing life expectancy to fluctuate. Many of these health risks, like cardiovascular disease, are affected by more women than men. According to a study at the University of Texas, by the age of 60, 33 percent of divorced women are predicted to have cardiovascular disease, in comparison to 21.5 percent of continuously married women. For men, 37.5 of those divorced were predicted to be affected by cardiovascular disease, in comparison to 31.7 percent of married men. However, for other conditions, men may find themselves to be more at risk. However, men face higher risks in many other health areas following a divorce, which can increase their rate of early mortality by up to 250 percent, according to the Journal of Men’s Health. They also face increased rates of hypertension, depression, suicide, substance abuse, and cancer. Regardless of gender, these risks exist during many of the major life decisions. According to a study at Queen’s University, published by Science Daily and the Archive of Sexual Behavior, the decision-making that we, as individuals, do during the course of our lives, can be subconsciously influenced by how long we believe that we will live. According to the study, the longer someone expects to live, the more time they will invest in education. If life expectancy is short, someone may decide to get married and have children sooner, stick with the partner they are currently with, rather than seek a divorce. The study states that while it is impossible to know how long someone is going to live, there are many life expectancy cues subconsciously processed that can affect how many more years people are expected to live, such as whether or not they have a risky job, if their grandparents still are alive, how healthy they are, or if there is a history of disease in the family. Similar studies regarding life expectancy and longevity were done by psychologists, Leslie Martin and Howard Friedman, at the University of California Riverside. They published their findings in a book, “The Longevity Project” and found that on average, divorced parents died almost five years earlier than children from intact families. They attributed these findings to certain unhealthy patterns developing over time, none of which were inevitable. These habits were incited by the stresses of the divorce. 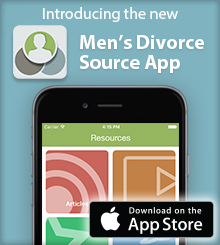 The research also stated that men prone to divorce were often less conscientious and dependable in the first place. In terms of women, remarriage after divorce had little relation women’s longevity and later health, according to the research. For children of divorce, the past shaped the future, as they were more likely to get divorced themselves, causing serious health risks for those involved, especially for men. The psychologists found in their research that the cause and effect of likelihood between a parental divorce and a divorce in your own marriage later in life, increases the mortality rate for men, due to the role women can play as social support and confidantes for their husbands. Martin and Friedman also found that men who remarried after a divorce lowered their mortality risk, and the longer they stayed in their second marriage, the better chance they had to live longer. This was primarily found to be due to a husband’s health later in life being impacted by their marital happiness. Children of divorce also were more likely to grow up to drink heavily and to smoke, with women in this category more than twice as likely to be heavy smokers, according to the research. The males were less likely to complete their education and accomplish as much with their careers, which has an impact on overall longevity. While we, as a society, can research and study trends and common occurrences that have been seen in the lives of the test subjects being monitored for their life expectancy, no one can predict exactly how long each individual can live. All that we can do is monitor our decisions and try to make the best ones possible, and even when we do not and are forced to correct our decision, we do so with the best intentions in mind. There are countless other factors that go into life expectancy besides divorce, and even if divorce plays a factor in the longevity of one’s life, understanding the behaviors that result from the stresses of divorce and how to avoid them can better equip those facing the challenges.